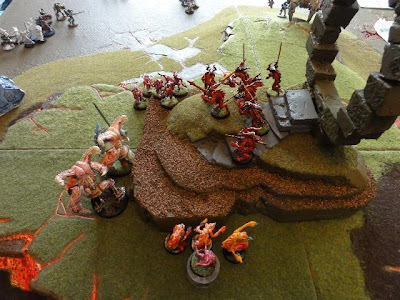 Following on from an earlier The Enemy is Gathering post, where I showcased a fantastic Chaos Daemon army that my buddy Paleghost has made. 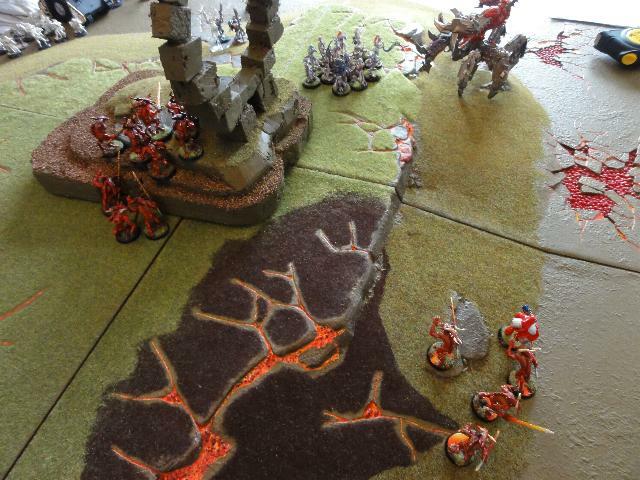 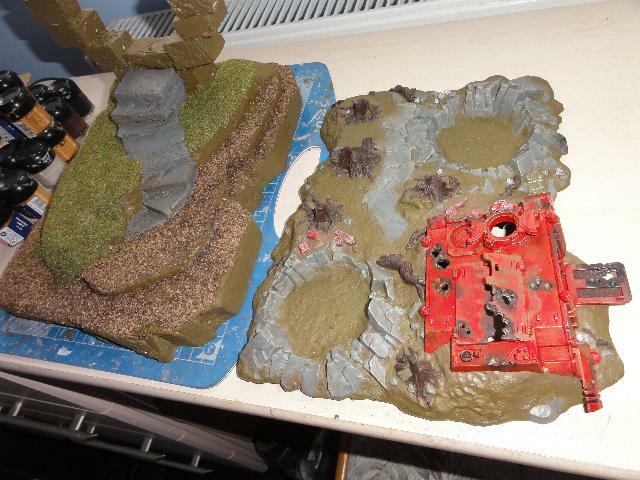 Paleghost, also know as Derek, has been hard at work with getting his gaming board and terrain up together. 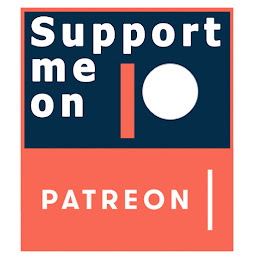 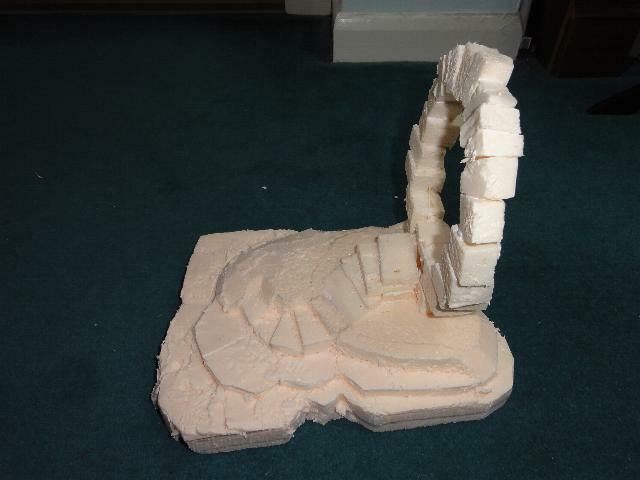 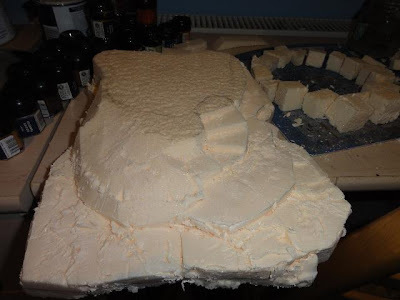 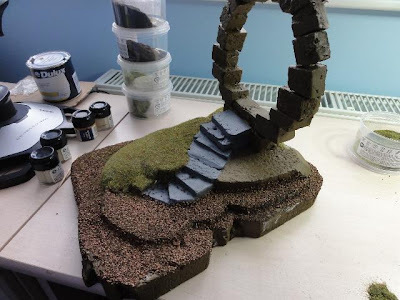 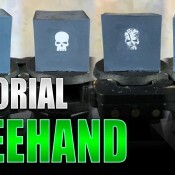 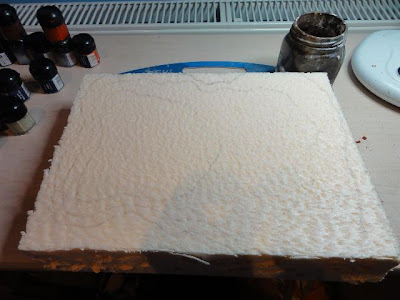 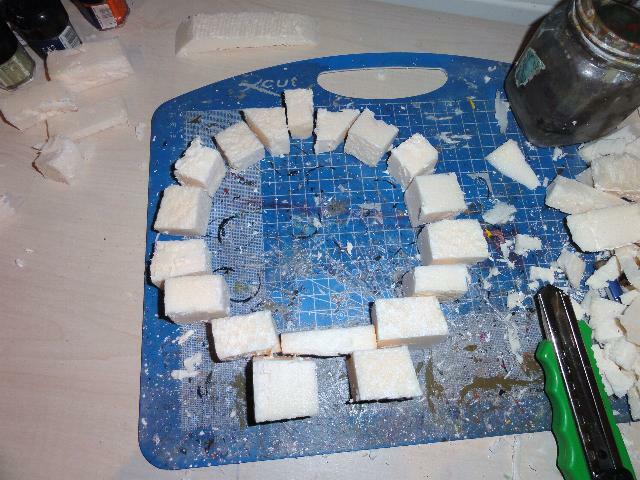 In this first guest post from Derek, he is going to show you some of his work and give an insight on how he made his Chaos Daemon Portal piece of terrain. 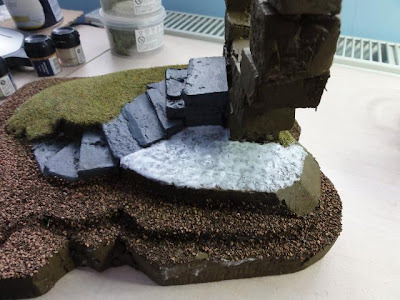 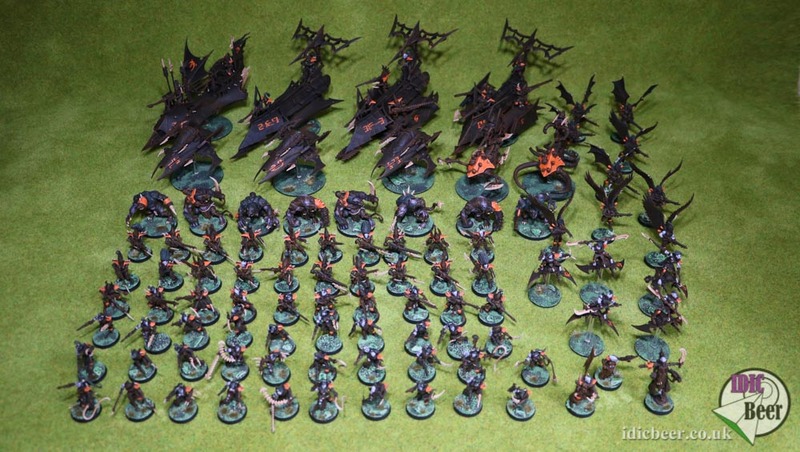 I painted it all over with Graveyard Earth, and then painted the steps with Codex Grey. Next I Applied a wash of vomit brown to the portal section using four parts water to one part paint. 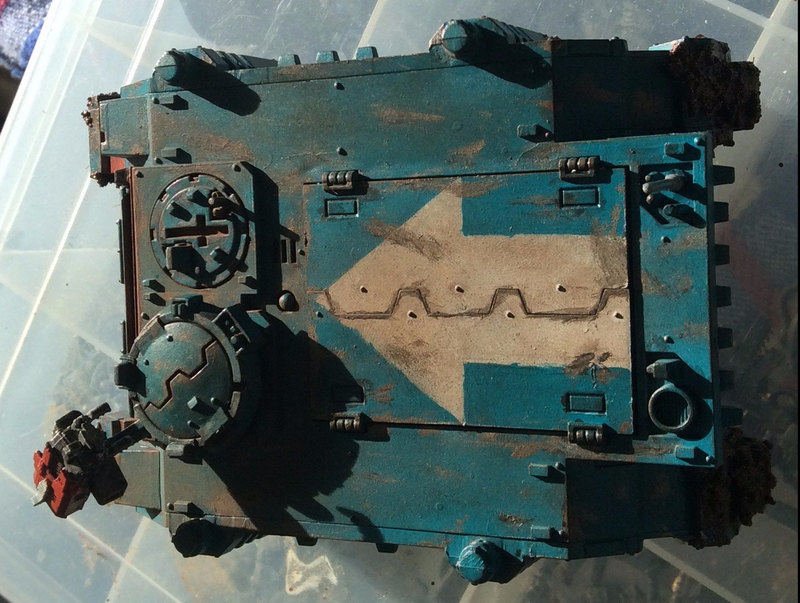 On a, personal note I decided to keep the painting simple because I wanted my models to show up more than the terrain itself.